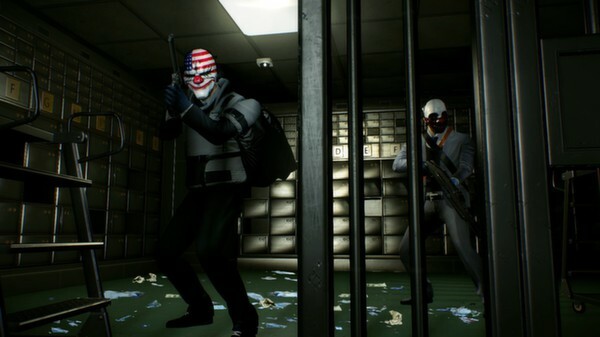 Multiplayer heist game Payday 2 will be arriving this month as previously planned. 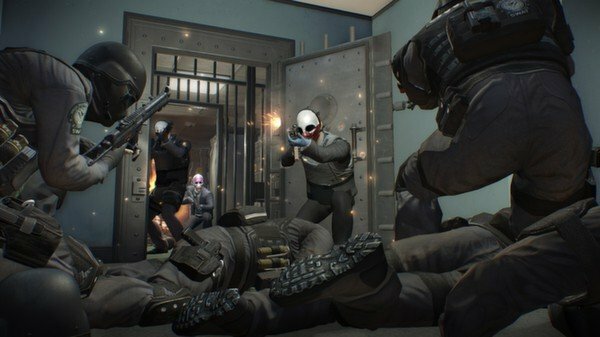 Today developer Overkill Software announced the exact dates that you'll be able to engage in criminal mischief with friends. 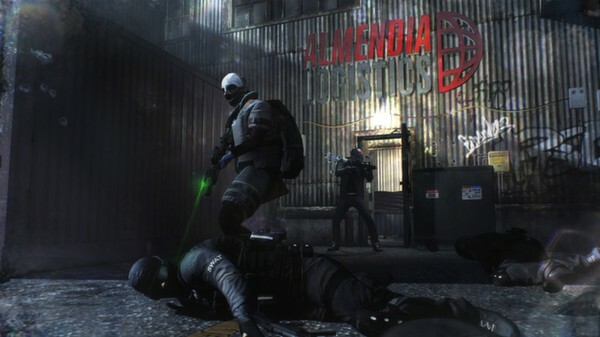 Payday 2 will debut on Steam on August 13th. The Xbox 360 and PS3 versions' launch is a bit less certain; Overkill says those platforms will get it between the 13th and the 16th. The uncertainty might be due to the fact that the game is going to be released through brick-and-mortar retailers on consoles. 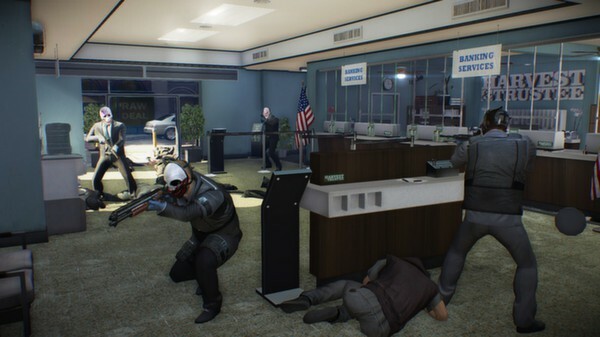 In Payday 2, up to four players work together on a series of daring heists. For example, they might rob a jewelry store or steal prized paintings. Players will have to take hostages, bypass security and fight law enforcement in order to pull off their jobs. 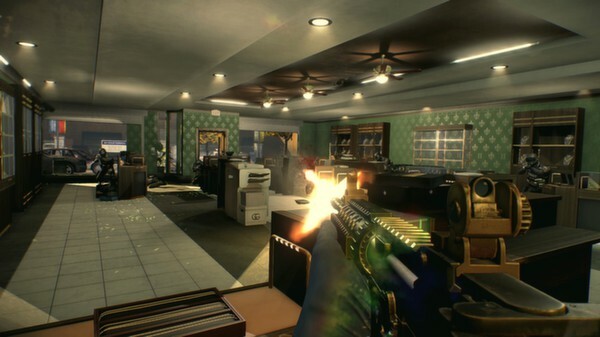 The game features 30 heists, making it substantially larger than its predecessor. In some cases, heists are broken into several smaller parts known as "phases." Your performance in a heist can change which "phases" you encounter next. By completing jobs, players will earn cash that can be used on gadgets and gun upgrades. Players can also purchase improvements for their characters. There are four skill trees - "Mastermind", "Enforcer", "Technician" and "Ghost" - to provide players with new capabilities. For example, "Ghost" is an expert in stealth while the "Enforcer" is a master of weaponry. Players can dip into several skill trees in order to create a unique criminal. 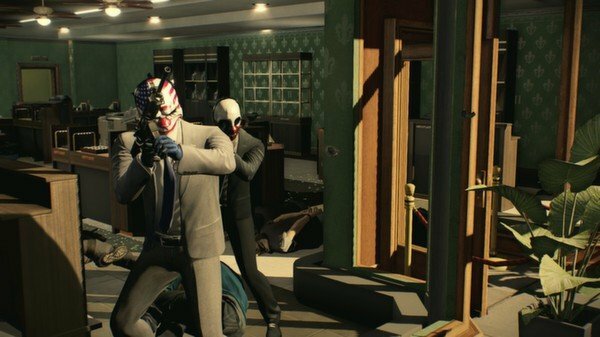 The beta for Payday 2 is currently underway through Steam. Beta access is guaranteed for anyone who buys the $49.99 Career Criminal Edition, which also comes with a soundtrack, blueprints, a heist guide, and various in-game bonuses. Career Criminal Edition owners get two beta keys so they can invite a friend to the test. "A big thank you to our PAYDAY community, to everyone who has helped us beta test the game so far and posted messages online, sent us feedback and told us how much you appreciate our work. We salute you," Overkill says in a blog post.